It’s rhubarb time! 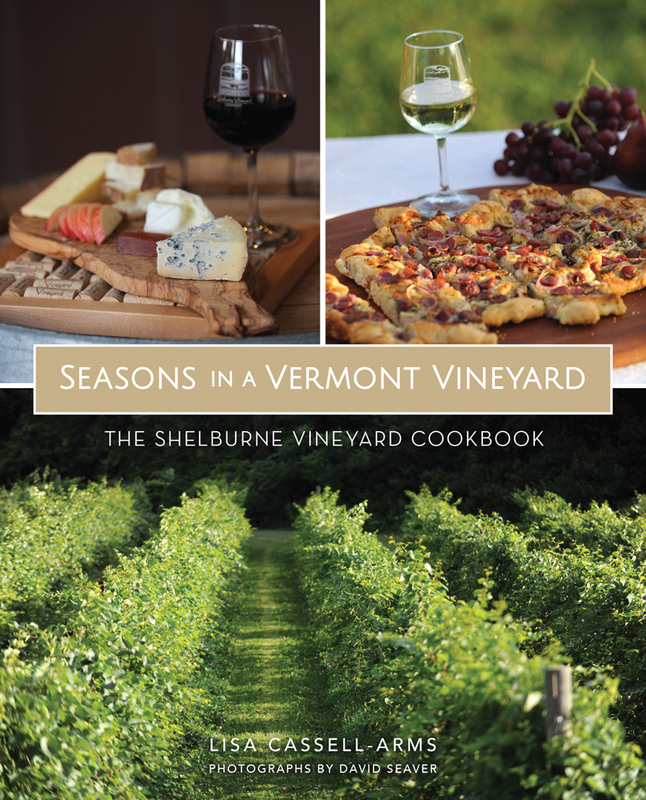 This steadfast and faithful vegetable comes up dutifully year in and year out. My rhubarb plant came from a clump that my father grows, which came from a clump that his father grew, which came from a clump that his father grew. It’s the only heirloom plant that I’ve managed to keep with me (and alive) through various moves and renovations. And not for lack of abuse! I cringe when I think about the heirloom roses that proliferated on my fence, that had been originally cultivated by my grandmother (and from which she made rose petal jam)- I killed those. I lament the loss of several treasured peony plants that came from my grandfather, (that took forever to bloom after transplant! )- they were a casualty of a rogue backhoe during a renovation. But the rhubarb keeps on coming. Every year I try and come up with a new way to use rhubarb, but we often come back to our tried and true favorites: Strawberry Rhubarb Pie and of course easy Rhubarb Compote. 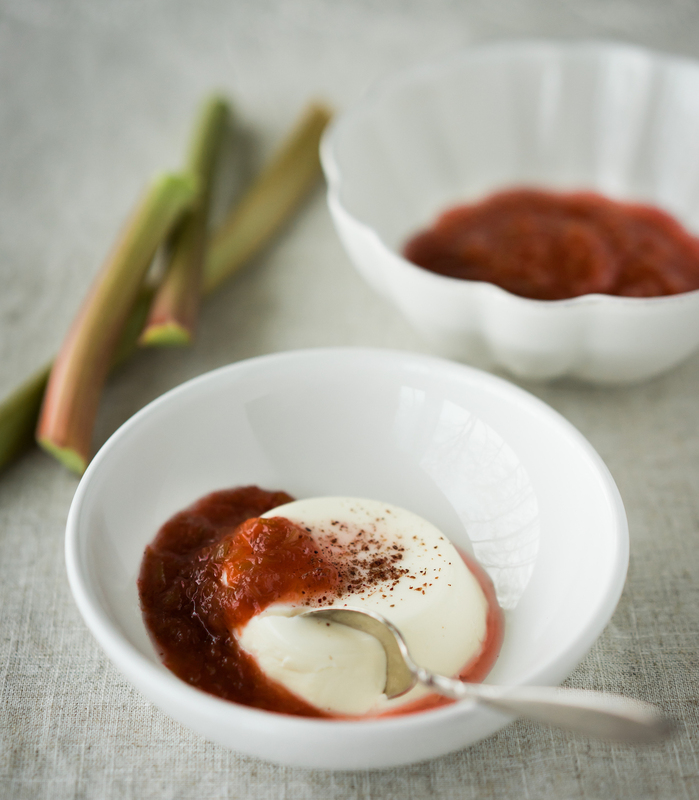 This Rhubarb compote is simple and quick to make and has only three ingredients. 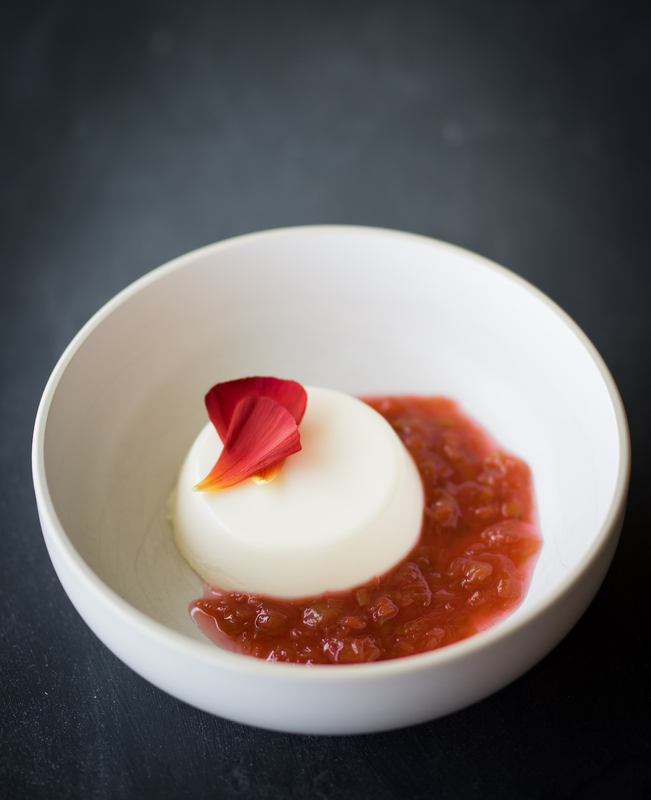 The splash of rosewater counters the sharp tartness of the rhubarb and lends a lovely floral note to the sauce. 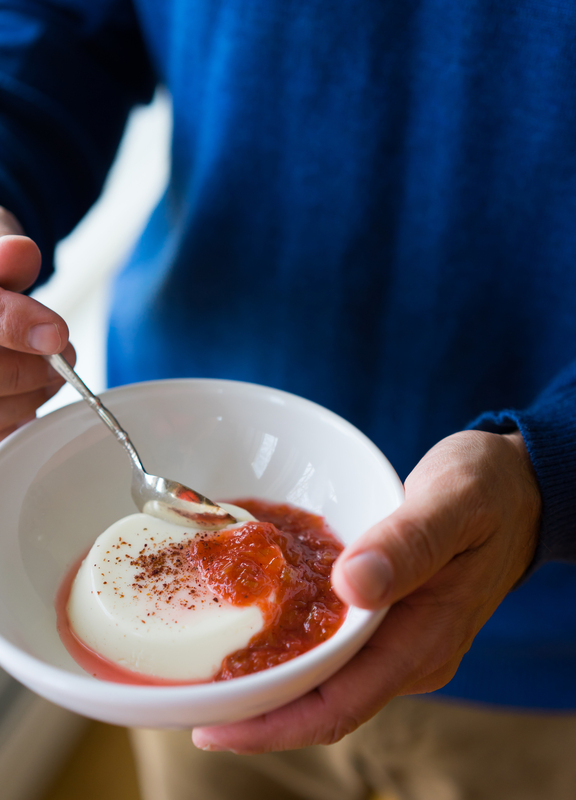 Serve it with this light and easy Panna Cotta and finish it with a dash of dried sumac. Sumac can be found in most stores now and has a tart and pleasingly sour flavor that is a nice contrast to the creaminess of the Panna Cotta. 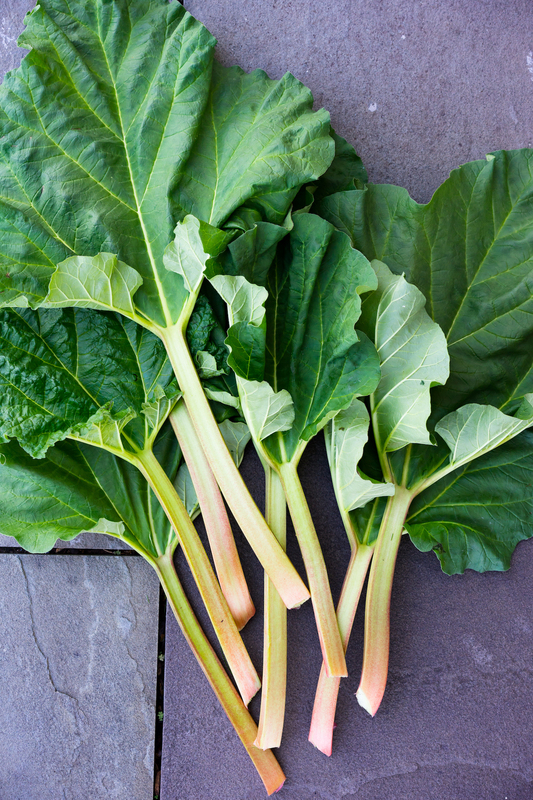 In a heavy saucepan, bring the rhubarb and sugar to a simmer, stirring occasionally, until the sugar melts and the rhubarb breaks down into the consistency of a sauce. Remove from heat and stir in the rosewater. Lightly brush 6 ramekins or teacups with oil. I use my silicone baking cups for panna cotta and they work great. In a bowl, stir the gelatin into the water. Allow to sit for a few minutes until it firms up a bit. In a saucepan, heat the heavy cream and sugar, stirring until the sugar is dissolved. Take the pan off the heat and stir in the vanilla and rosewater. Pour the cream mixture over the gelatin and stir until the gelatin is dissolved. Divide the mixture into the six prepared cups and chill them in the fridge for several hours until firm. When ready to serve, run a sharp knife around the edge of the cups and carefully unmold onto plates. Serve with Rosewater and rhubarb compote and a dash of sumac on top!